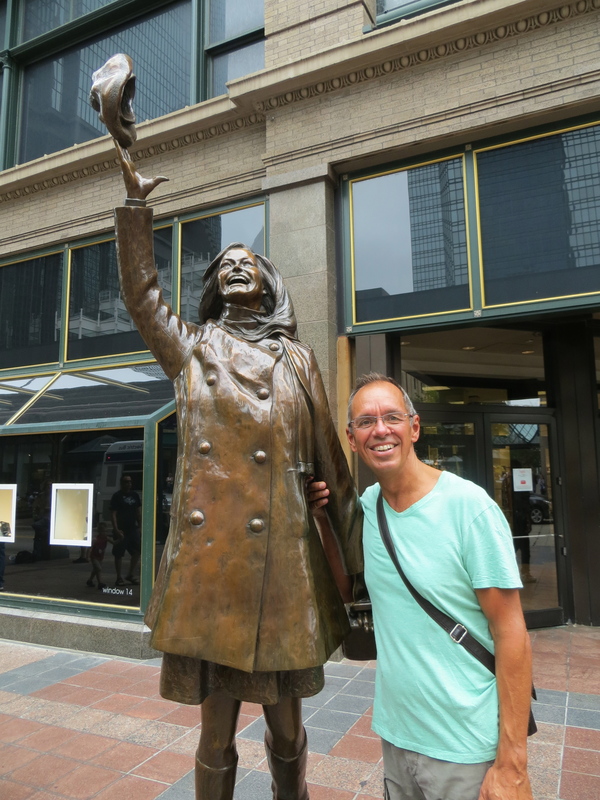 Here I am with a statue of the inimitable Mary Tyler Moore throwing her hat in the air. If you’re old enough you will recall, of course, that the Mary Tyler Moore show took place here. 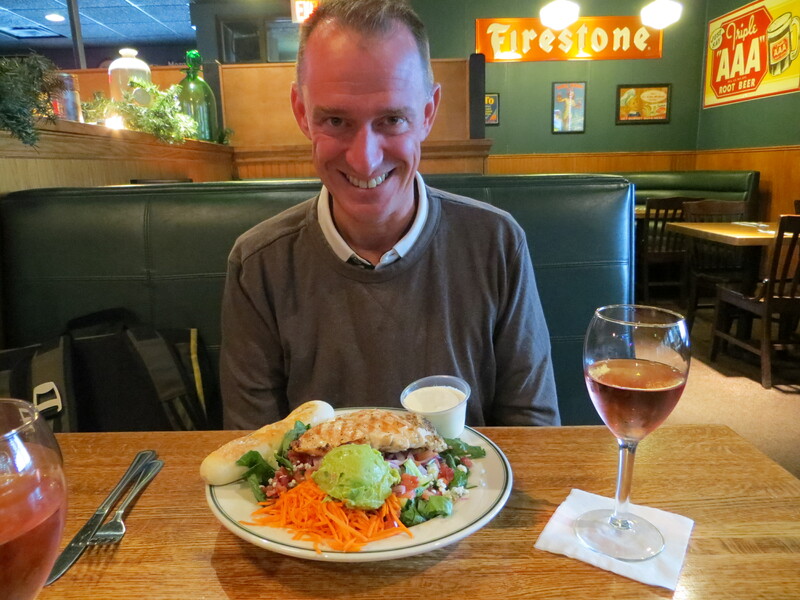 We had a great long lunch with Jeff, my college roommate. As you can tell, neither of us has aged a day! 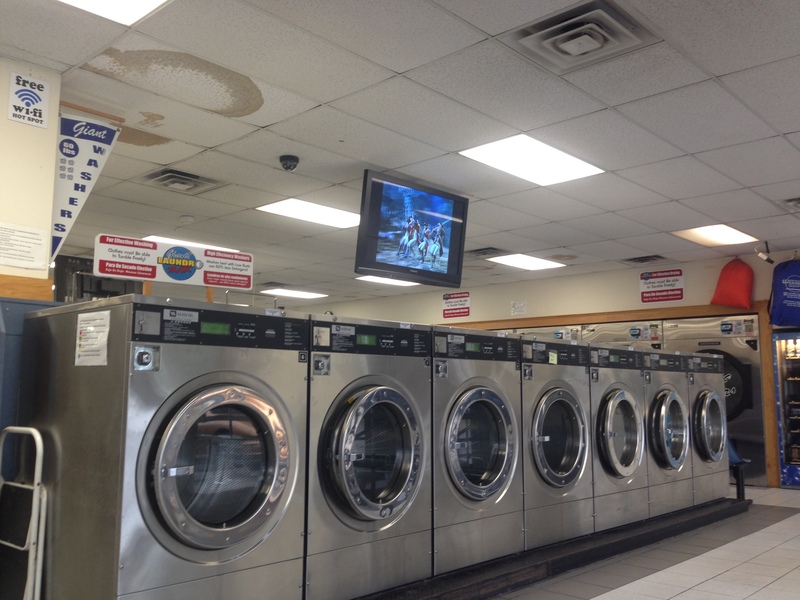 Why is there a picture of a laundromat on the blog? For us, of course, finding a convenient place to do laundry is always a big deal. On top of that, though, this is just one example of our amazement at how BIG everything (and everyone…) is here. This was at least three times as big as any laundromat we saw in our 15 months of traveling. From Paris to Minneapolis, pretty much everyone’s fantasy trip, right? I lived there for 10 years, though, and I still love the city. Interestingly, there has been at least one big change since I left nearly 30 years ago – a big boom in downtown living. I actually lived in a downtown high rise in the mid-1980s when it was really unusual. Over the last several years, though, there have been major developments – both new construction and old warehouse renovation – and now there are some 40,000 people living downtown, mostly along the Mississippi River. Very cool. 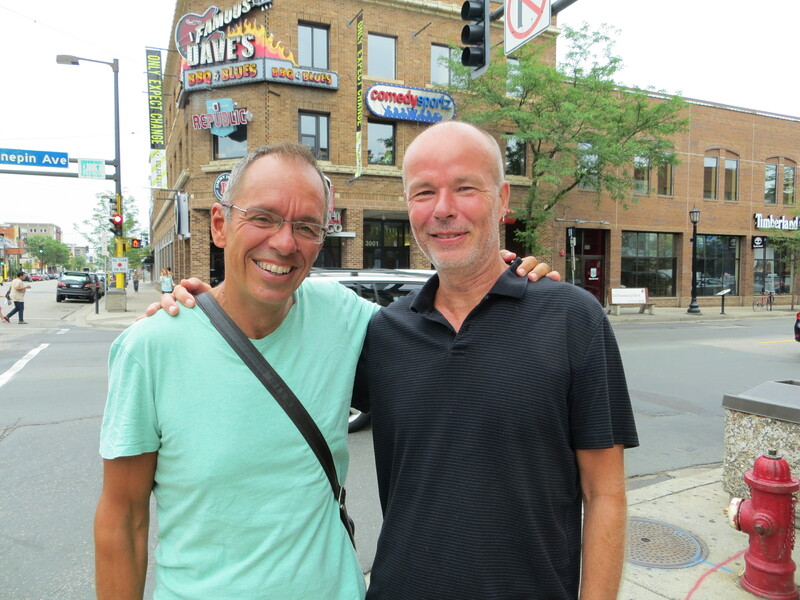 As I said, I still love Minneapolis and had a great time in a very brief stop: dinner with two old friends one night, lunch with an old college roommate the next day, and dinner with another old friend and his partner that night. Walked around old familiar neighborhoods and marveled at how BIG everything is! Our only regret was that we didn’t have time to see everything I wanted to and everyone we wanted to. From there we caught a quick flight up to Duluth, where I was born and where I still have plenty of family. (We would have rented a car and driven, but we’re flying out of Duluth, and the car rental agencies pretty much all were going to charge about $1,300 extra to drive it one way. The flight was a lot cheaper.) So we picked up the rental car in Duluth then to drive up to Cook, a tiny town some 90 minutes north of Duluth on Lake Vermillion which, at about 40,000 acres, is the fifth largest lake in Minnesota. 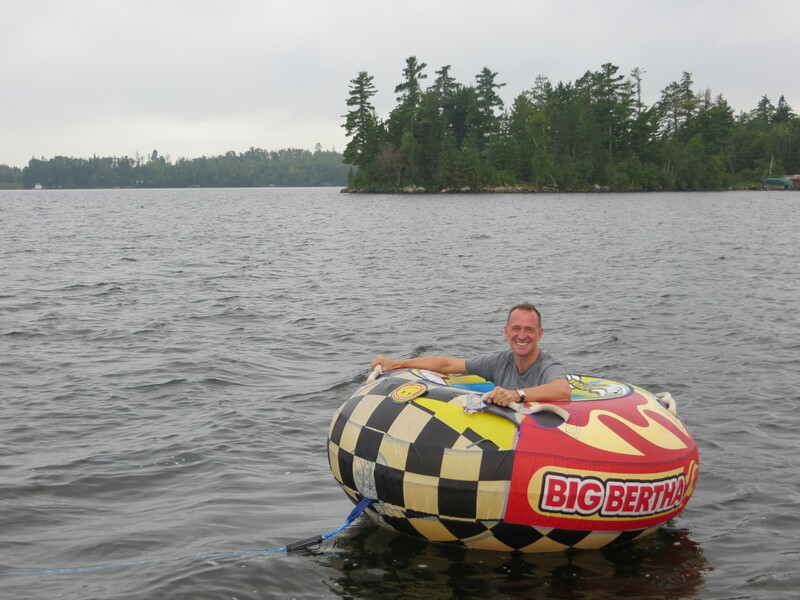 Mark & I spent six days at a lodge there with my parents, four of my five siblings, three of their spouses, three nieces, two nephews, and two great-nephews (my niece’s two kids) in two large cabins. 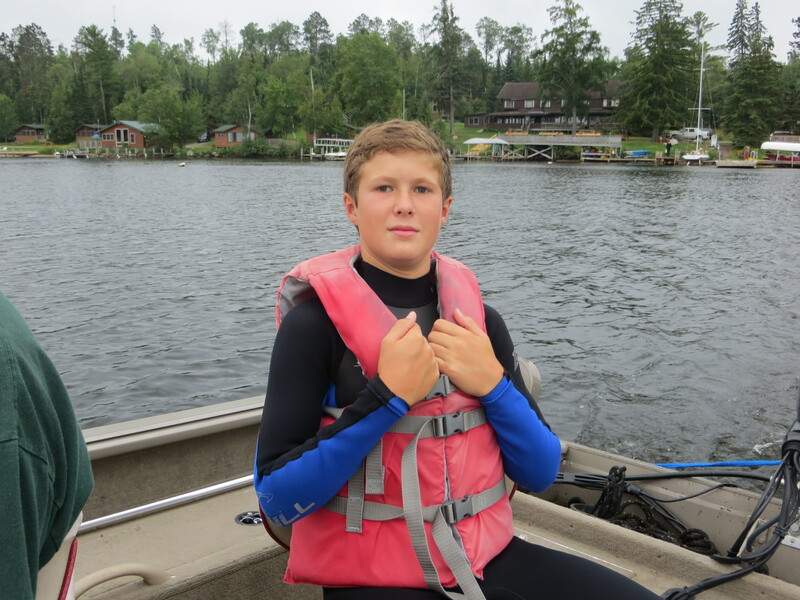 The kids loved fishing, though they weren’t wildly successful, and we all had fun with boats and in the water and all that stuff you do in a Minnesota lake. Our first lunch up north at Grandma’s. The salad was huge. The wine was big. Everything here is big! 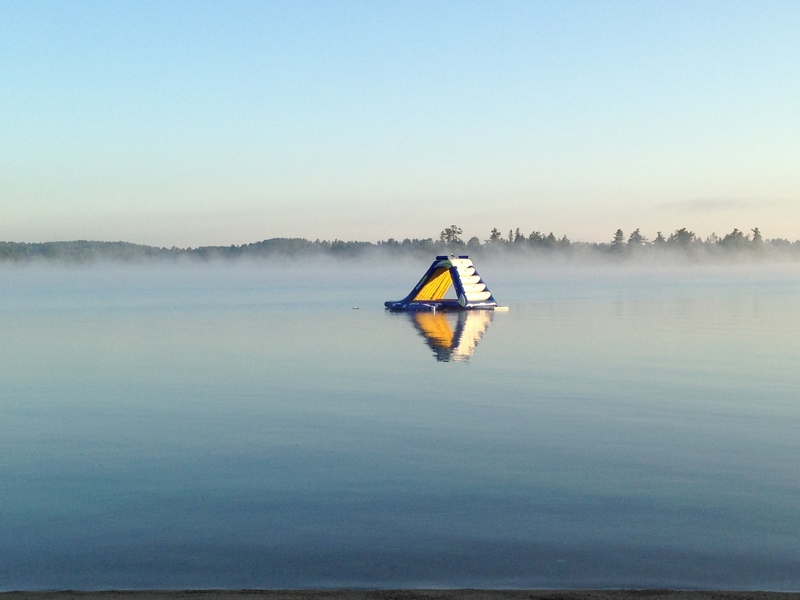 Morning on Lake Vermillion. Later in the day I would exhaust myself playing with my nephews on that slide. 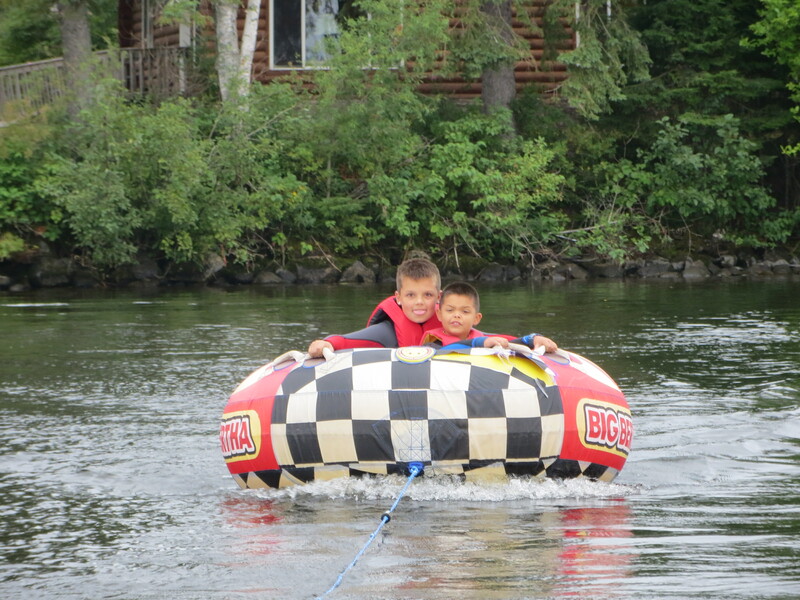 My great-nephews Matt & Dex on the tube behind a boat. Our hotel was just a block or two away from this big metal structure. It seemed most popular. So this is it. After 15 months outside the U.S., we head back tomorrow. A couple days in Minneapolis, a week on Lake Vermillion in Northern Minnesota, Labor Day weekend in Michigan, then Boston, Miami Beach, Des Moines, Washington, Las Vegas, Utah, and Los Angeles. Interestingly, even internally I don’t think of it as going “home.” We’re looking forward to some visits and we’re going to see part of the U.S. – Utah’s national parks – that we’ve never seen. But it’s really not going home, since we don’t have a home there and we’ll soon enough be back on the road. 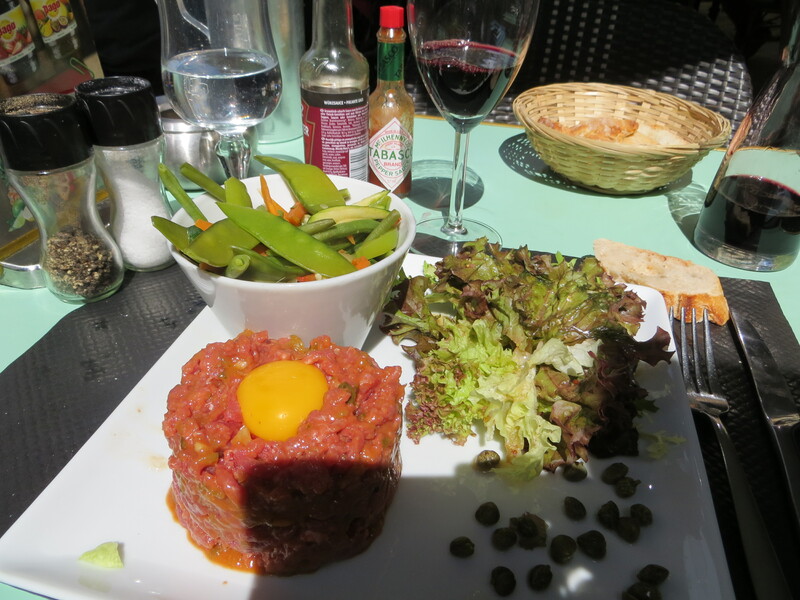 [caption id="attachment_3540" align="alignleft" width="300"] … and beef tartare for the main course. 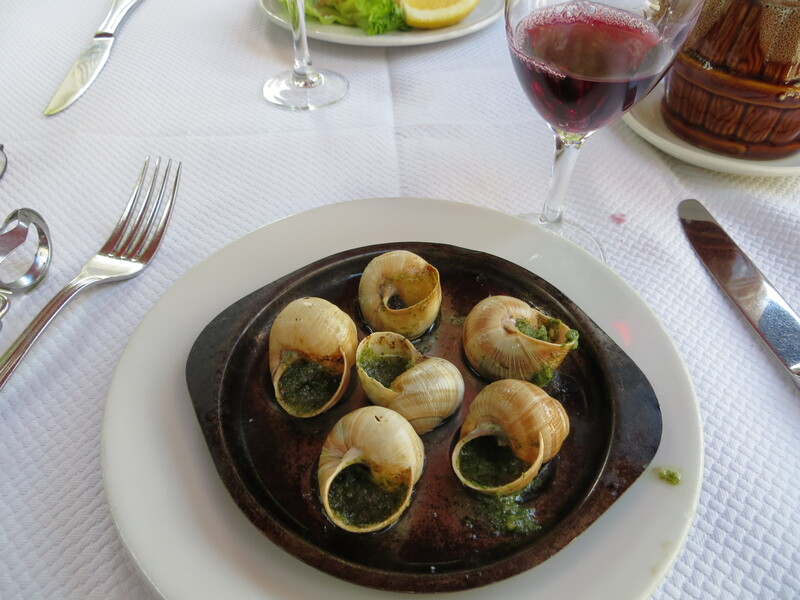 I know we’ve been in France for a while when I have escargot for an appetizer …[/caption]First, though, before heading back we had a few days in Paris; not exactly a bad way to end this first leg of our adventure. 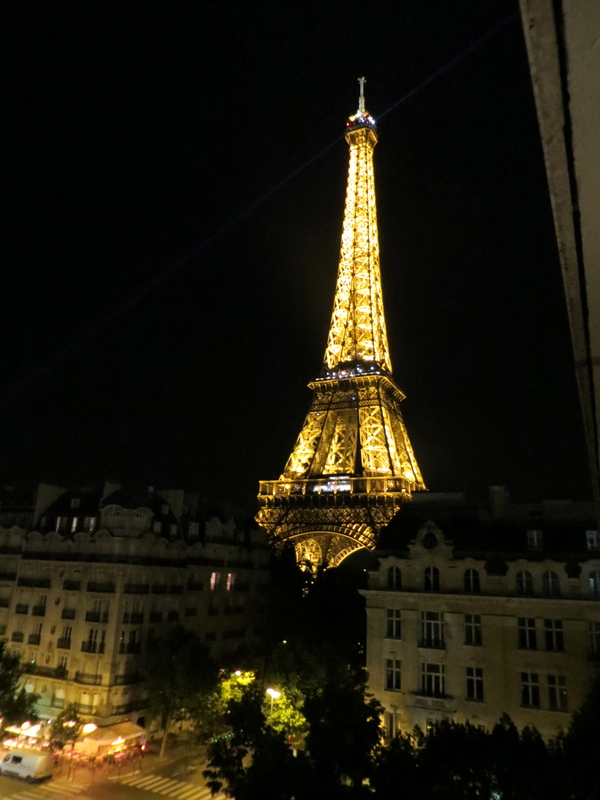 Of course, Paris is beautiful and the food is fabulous and all that, but we’ve both been a little melancholy about this (temporary) transition back to the States which may have taken some of the luster off the city for us. 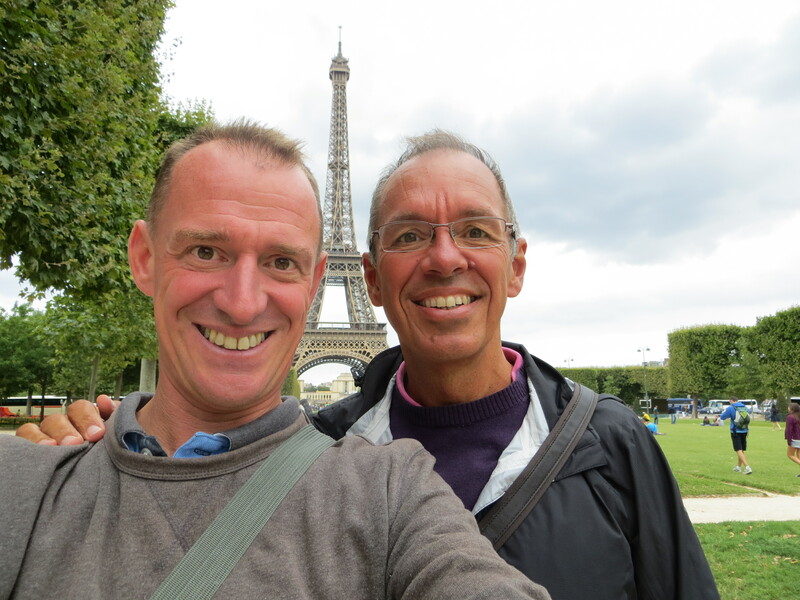 Paris in August is notorious for having things closed up, which has been a real challenge for Mark as he researches restaurants for us. One thing I was excited to see in August is the beach the city sets up along the Seine. We got here to discover, though, that it was closing on August 17, our first day. Really? Closing the beach in mid-August? Turns out maybe the Parisians know something about their weather. It’s been surprisingly cold and overcast the whole time, which hasn’t helped that nagging sense that something important is ending. I keep thinking that with 15 months, 53 books, 29 countries on three continents, and untold miles on the ground and through water, I should have some important lessons to share. You’d think I would, but maybe not so much. OK, here’s one: multiple changes of clothes are overrated. If I think of any more on that long plane ride to the midwest I’ll share them later. In case you’re wondering, though, if we’re getting tired of all this travel, the answer is a definitive no. 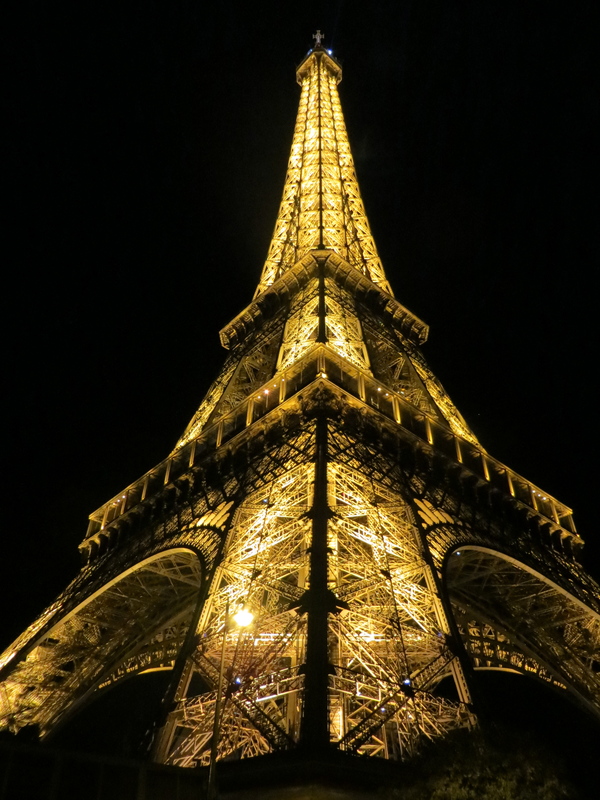 To be honest, we’re a little tired of traveling in Western Europe, just because it’s so easy. We’re both itching to get back to more exotic places. So from LA we’re heading to the Yucatan for a couple weeks and then probably going to some non-tourist Caribbean islands, including Haiti, to get our sense of adventure back. Starting to research and plan that gets me excited again! 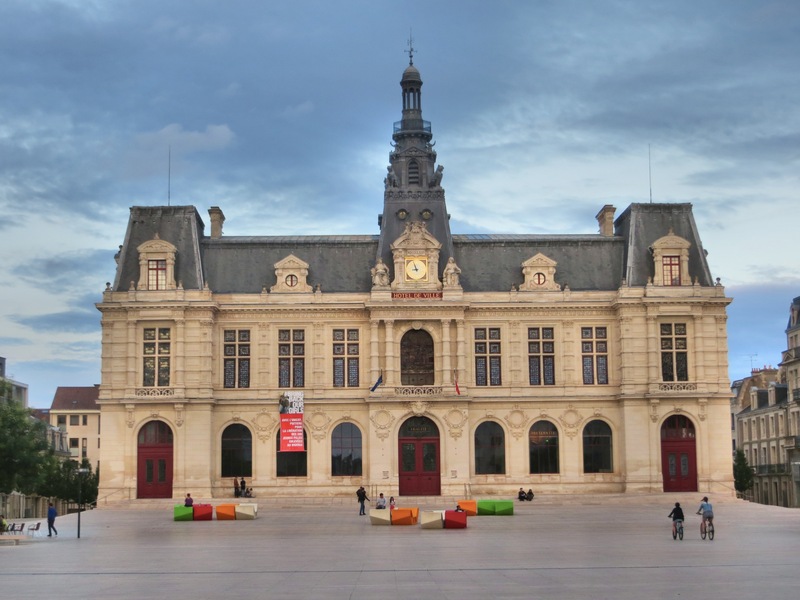 Ah, Poitiers, a small city in west-central France with a great history. It was here that in 732 AD French forces under Charles Martel turned back the advancing Muslim forces; it was to be the furthest penetration the Caliphate experienced in Europe (so far, at least) and thus is considered a truly pivotal point in history and one of the most important battles of all time. I’m not the only one with bad memories of Poitiers; Joan of Arc spent some unpleasant time here, too. Poitiers was often the home of Eleanor of Aquitaine, arguably the most interesting woman – and one of the most interesting people – in all of the Middle Ages. Her Aquitaine inheritance made her a supremely eligible bride, and her first marriage was to King Louis VII of France. That didn’t go so well and after 15 years they got an annulment, based on her inability to provide a male heir. She immediately married the crown prince of England, later Henry II, right here in Poitiers. That marriage produced a bunch of sons (and some daughters, but they don’t usually matter in history), but Henry and Eleanor didn’t always get along so well, either; Henry ended up imprisoning Eleanor when she supported their son’s revolt against him. When Henry II died their son Richard I took over, but named Eleanor Regent while he went on crusade. In effect, she ruled England for years while he was held captive and survived as Queen Mother well into the reign of her youngest son, King John. Thoroughly interesting – Mark & I have both read biographies of her – and the Palace of Poitiers, where she created Europe’s then-largest dining hall, was the place we wanted to see. And there was more. 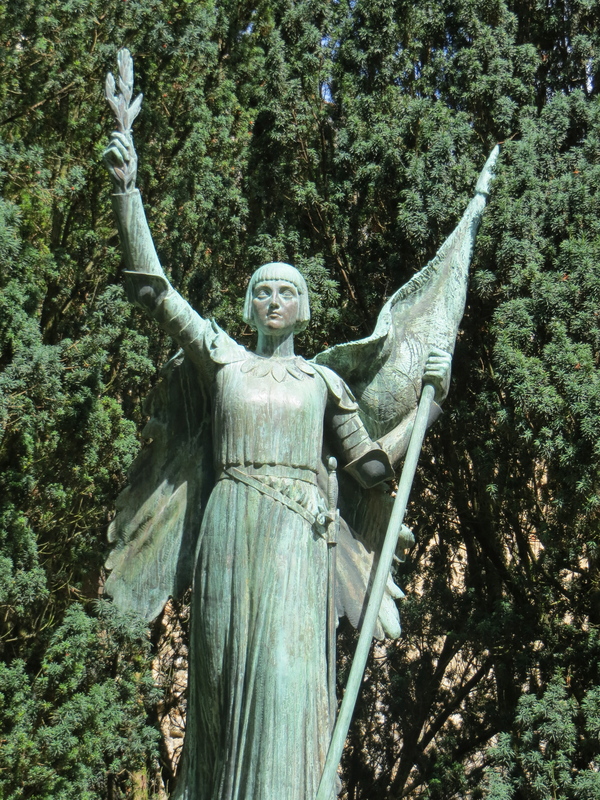 Poitiers was also the city where in 1429 England instituted the formal inquest that branded Joan of Arc a heretic; she would later burn for her sins. And of course become a martyr and saint. So there was a lot to do here, right? Yeah, didn’t work that way. I woke up our first morning with horrible back pain, something I’d never had before. At maybe 6:00 AM I went out to walk it off, but it only got worse. And worse. Finally I went to the hotel and asked if there was a hospital I could go to to get some pain medication. Sure; they called a taxi and off I went. To hell. 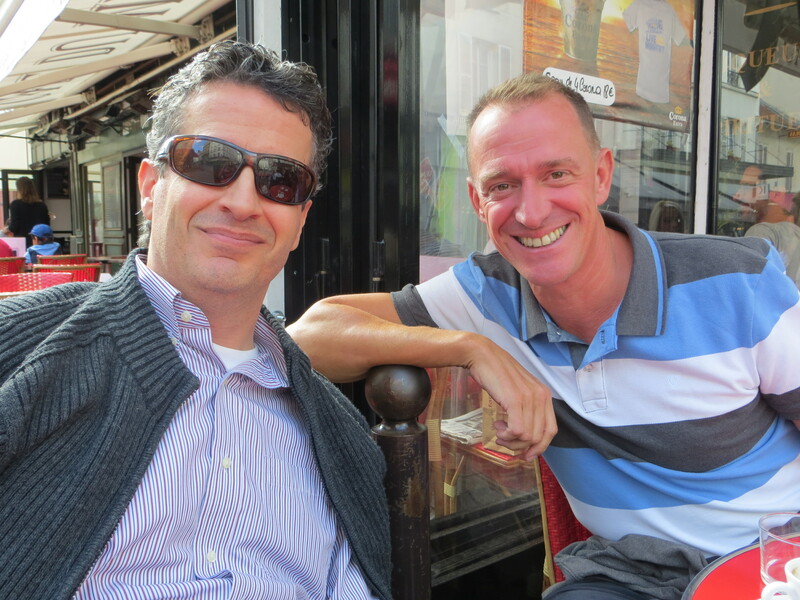 While I was in hell in the ER on day one, Mark was having a lovely (and lonely) lunch in Poitiers. 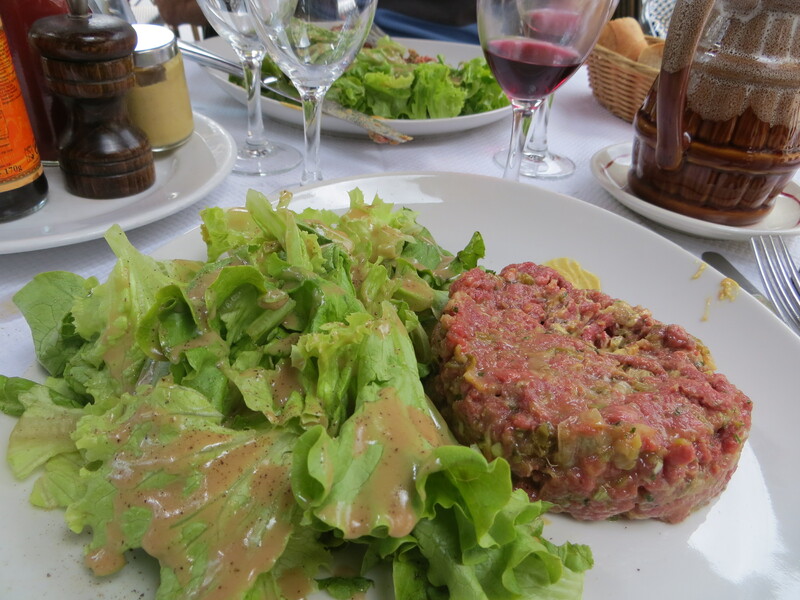 Just for the record, we’ve eaten a lot of beef tartare in France and Italy. A lot. I don’t know how I’m going to react in the States, where allegedly they cook their beef. Yuck! I later learned that Friday – that day – was a national holiday celebrating Mary’s Assumption. And everybody takes the day off, including apparently all but a skeleton crew in the ER. I spent eight hours there and got no relief. What limited staff was there didn’t speak English at all and didn’t know what to do with me. Except put me in isolation. Yes, during intake they learned that I’d been in a clinic in Bali for X-rays when I fell in the shower. That got their attention and they made me put on hospital gloves and then wiped down everything I’d touched, including the chair I’d been sitting in. Ummm, the ER in Bali was cleaner and more helpful than this place! They took blood twice and did an EKG, but it was hours before they’d give me anything for the pain. For vast periods of time I just sat alone waiting. In isolation. Eight hours later they wrote a prescription for painkillers and sent me back to the hotel, still in pain. Next morning it was worse. The pain pills had done nothing and by 6:30 AM or so I was screaming in pain. So the hotel – which was very helpful through the whole ordeal – called the hospital and was assured staff was back and I’d get attention. So an ambulance comes, loads me up, and carts me off, Mark riding shotgun. My brother Al had emailed that screaming in the ER is a good strategy, so I didn’t hold back. I didn’t make anything up, but I didn’t hold back either; the pain was excruciating and I was screaming big time. 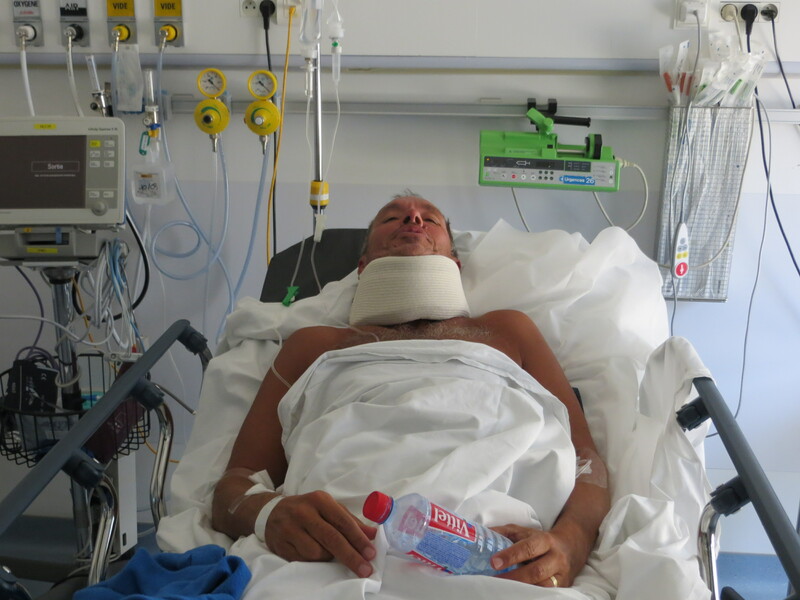 Within seconds of arrival I had an oral dose of morphine. Doctors and nurses everywhere. And when that dose wore off after an hour or two – a most pleasant hour or two, I assure you – the screaming started and another oral dose was forthcoming. Followed by an IV drip so no one worried about it running out again. Sedated Jim, with morphine coursing through my blood. This, obviously, was my second trip to the ER, the one where they actually treated me. And this time it all worked. Lots of X-rays, scans, poking and prodding. And lots of morphine, just to keep everyone happy. The doctor diagnosed a pinched nerve – pretty obvious, really – gave me a neck brace and wrote prescriptions for lots of painkillers. He said that the prescription they’d written yesterday was “a child’s dosage.” These pills would do the trick. And so far it’s still working. Mark & I went back to the hotel, packed up, and caught a train to Paris (we were supposed to have gone in the morning, but that didn’t work out so well). Spent a restful night and good morning. I still have a little pain, but not anything in the league of what the last two days were. And I look great in this neck brace! Here’s the crazy part. If you take a taxi to and from the hospital, it’s about $30 each way. If you take the ambulance? Free. Cost of the 15 hours total I spent in the ER? Zero. Nada. They didn’t appear to have even a mechanism for collecting charges. Now, the first day I got what I paid for, but the second day they were great. Perfect. And free. 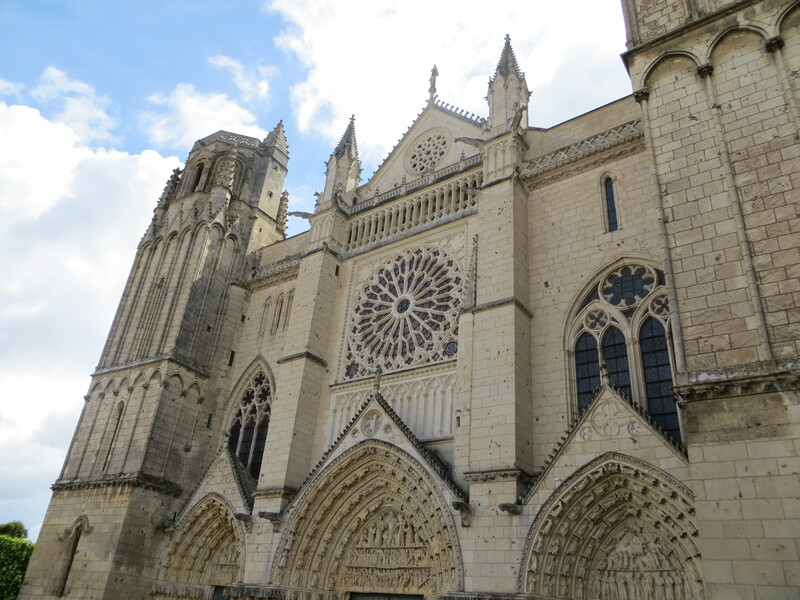 So, we didn’t get to see much of Poitiers. And even if I hadn’t had those problems, we wouldn’t have seen much. Because of the holiday, not only was the ER empty of competent staff, but the Palace we wanted to see was closed the only day we had free to see it. I’m sure it’s a lovely place most of the time, but I’m glad to be out of Poitiers. 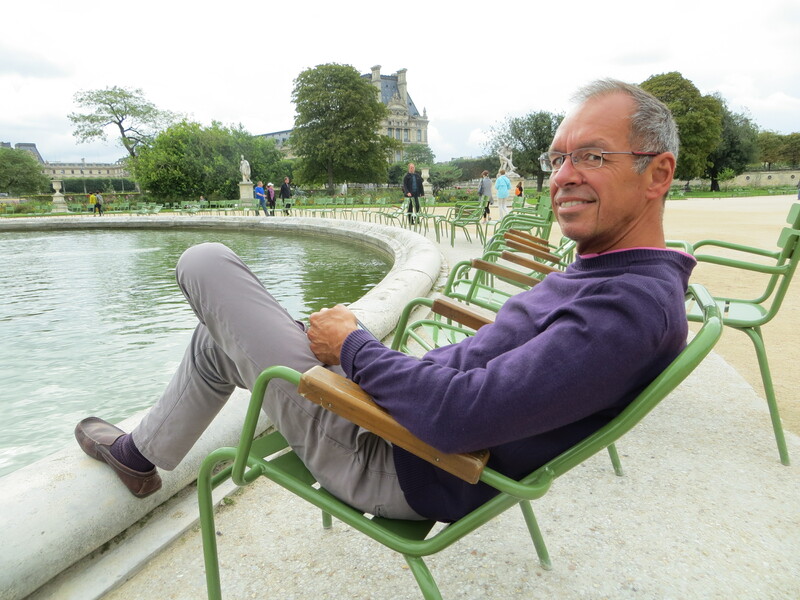 And thrilled to be in Paris! 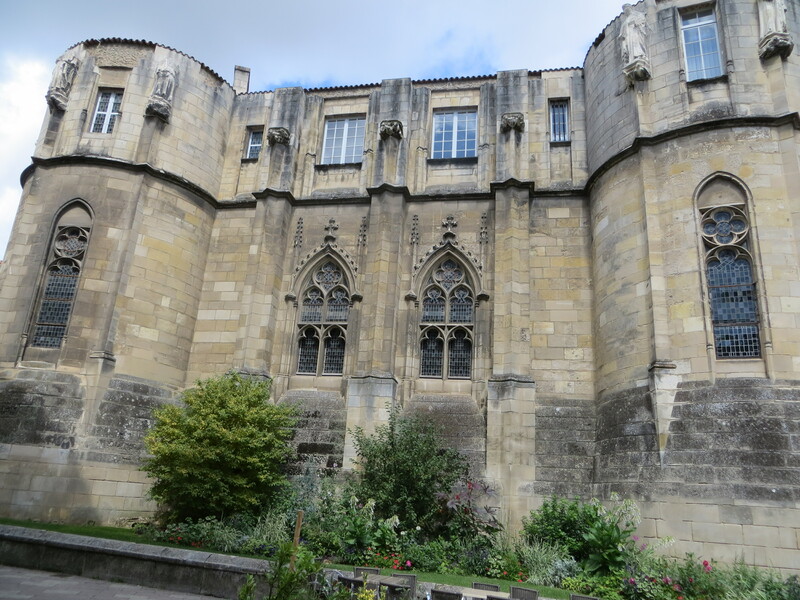 This is the Poitiers Palace that we came here to see. Alas, it was not to be. Holidays stop everything, even tourist sights.